I am smitten with this buffalo check stencil from FSJ. 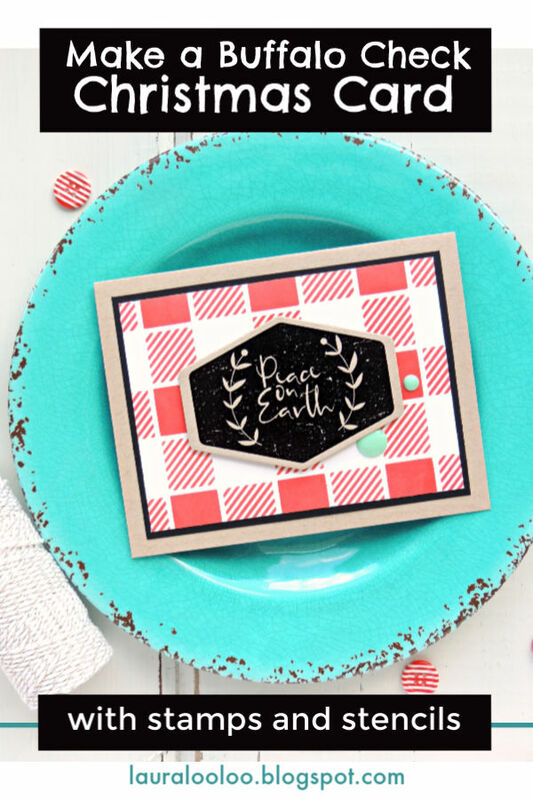 It's an easy way to add some buffalo check goodness to your handmade cards and crafts. 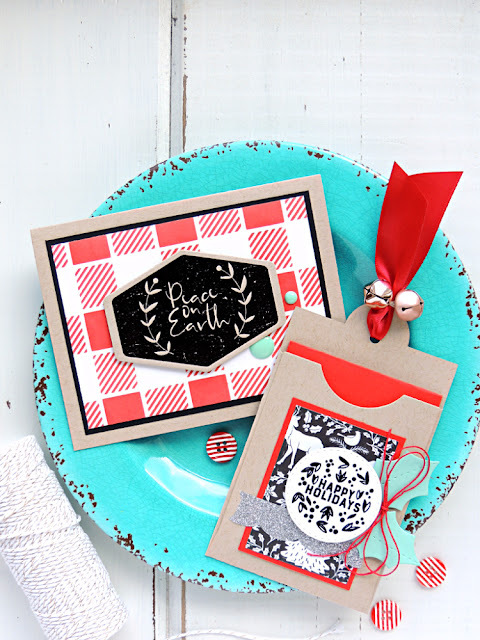 These two coordinating projects came together easily, with a bold winter color palette, plus a few stamps, papers, and that darling stencil! To create the Peace on Earth card, you'll want to sponge red ink over the buffalo check stencil, onto white cardstock. Trim the panel down, mat it on black cardstock, and adhere to a kraft card base. Easy peasy so far, yes? 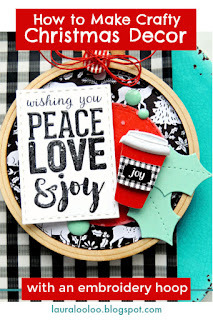 Next, stamp and heat emboss that GORGEOUS sentiment onto kraft cardstock and die cut or trim. (Don't you love the distressed texture of the solid area on that stamp? It stamps SO beautifully!) 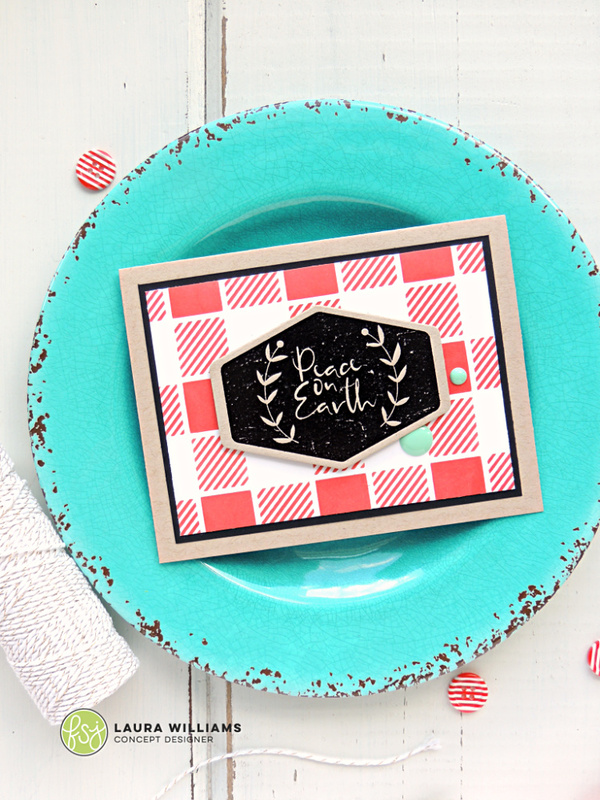 Assemble the card together, and add a few enamel dots for an aqua POP. Next, why not create a coordinating gift card pocket? Start by die cutting the Gift Card Pouch from FSJ, onto kraft cardstock. Trim a small panel of patterned paper. (That amazing black and white print is from the Cozy Prints paper pack. And bonus - there's a buffalo check print in that paper pack too!) Mat printed paper with red cardstock and adhere to pocket. 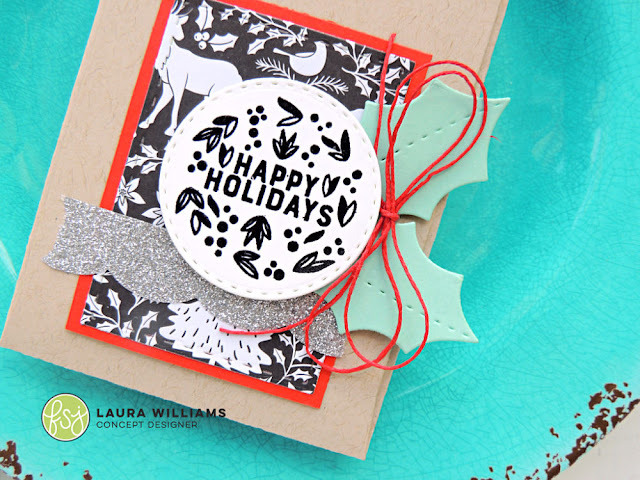 Stamp and heat emboss sentiment onto a diecut circle, and adhere along with some sparkly washi tape, die cut holly leaves, and a twine bow! There's something about black, white, red, and kraft for holiday decor and crafts. I just love it. But I love AQUA so much too - so the pop of aqua on these projects just makes my heart happy. Color is EVERYTHING to me! 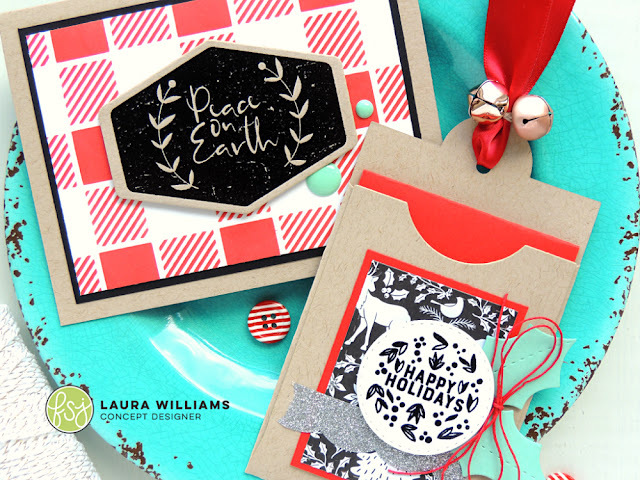 Are you doing any holiday crafting? I'd love to see what you're up to! 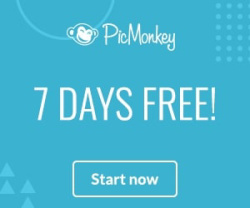 Shoot me a link in the comments, and I will be sure to stop by and visit! I told you I love this color combo for Christmas. Check out this post with more Christmas projects using many of the same products as today's project! I can't help myself! Such cuteness! Do you still want MORE Christmas inspiration? (Yes, of course we all do!) 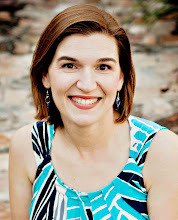 Stop by my Pinterest page and pin to your hearts content - I am adding more inspiring ideas for Christmas, and all year round - every single day!